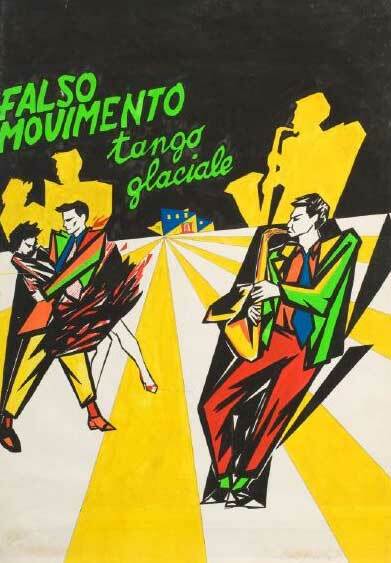 Tango Glaciale premiered at the Teatro Nuovo in Naples in 1982. It was directed by Mario Martone with Andrea Renzi, Tomas Arana and Licia Maglietta on stage, all members of Falso Movimento, the artists’ collective changing the history of experimental theatre in Italy at that time. As Martone explained in an interview, «Tango Glaciale relates the movements of three people living in a house: from living room to kitchen, from roof to garden, from swimming pool to bathroom. A constantly changing domestic adventure that is projected through time and space. The visual mechanics of the performance consists of architecture made of light created using a montage of video and slides, so that the play takes place in twelve rooms with twelve different sets all in the space of one hour, at a rate of one set change every five minutes. The work of the actors takes place amidst the very fast pace of this spatial network». Martone is now preparing the play again to stage at Piccolo Bellini, an operation confirming the project’s continuing revolutionary nature thirty five years on. This coproduction is an important step for the Italian performing arts: for the first time a dance production centre and a theatrical production centre coproduce in order to create positive synergies between arts and different audiences.